The new logo of our website is the combination of the signatures of Colonel John Tipton (1730-1813) and Landon Carter Haynes (1816-1875). Both of these men at one point owned the property of the present-day historic site and played important roles of our local, state, and national history. Located within the research section of the website is the rich history of the lives of these two public figures. Focus, instead, will be given upon the two separate signatures and the documents from which these men signed. 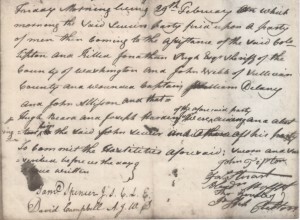 The signature of Colonel John Tipton comes from an August 20, 1788 deposition of five men and their account of the Battle of the State Franklin of February 27-29, 1788. These five men include: Colonel Tipton, James Stuart, Alexander Moffett, Thomas Gourley, and Joseph Culten. These North Carolina loyalists describe the three day siege of Colonel Tipton’s property. They also describe the actions of the State of Franklin Governor John Sevier and his men. 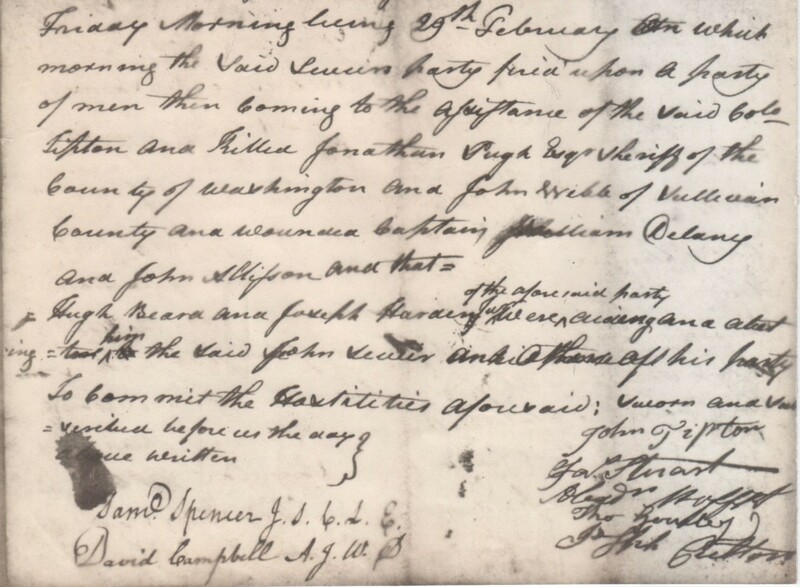 The account of Captain Peter Parkinson’s coming under fire, two women being fired at and the wounding of one of them, and the names of the North Carolina loyalists killed and wounded are all included within the deposition. At the end of the sworn statement, each person signed the document. Colonel John Tipton signed first and is clearly visible. 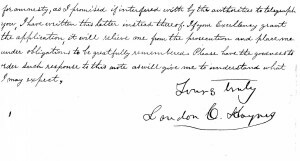 The signature of Landon Carter Haynes comes from a June 6, 1866 letter written to President Andrew Johnson. At the end of the Civil War, Haynes was arrested in Statesville, North Carolina. In the summer of 1865, Haynes applied for a presidential pardon and took the oath of allegiance to the United States. He was paroled, but was not officially pardoned. In February of 1866, Haynes relocated his family to Memphis, Tennessee. A few months later Haynes was indicted for treason by Tennessee Governor William Brownlow. Therefore, Haynes wrote President Johnson from Memphis on June 6 and explained his perilous situation due to the lack of not being officially pardoned. He advised President Johnson that he had done everything necessary for his pardon nearly a year ago and asked if he personally would help in correcting this wrong. Five days later, on June 11, 1866, Landon Carter Haynes was officially pardoned. 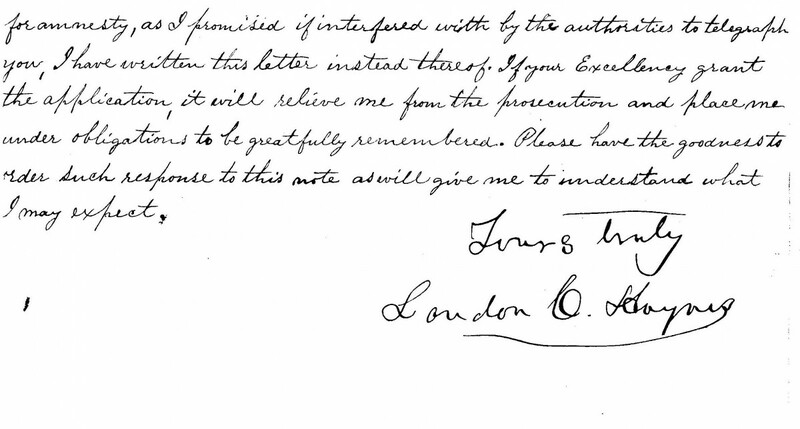 It is clear from this letter and others, that Haynes did not write the narrative of the letter when comparing his signature with the narrative writing.